A gathering of alumni of the Kokusaibu (short for Kokusai Gakubu or International Division) at Waseda University in Tokyo is planned for Saturday, Oct. 10, from 12 to 3 p.m. at the Japanese American Cultural and Community Center, 244 S. San Pedro St. (fifth floor) in Little Tokyo. Since its establishment in 1963, the Kokusaibu has enabled many college students from California and other states to spend a year in Japan, learning about the language and culture not only from campus life but also from their host families. 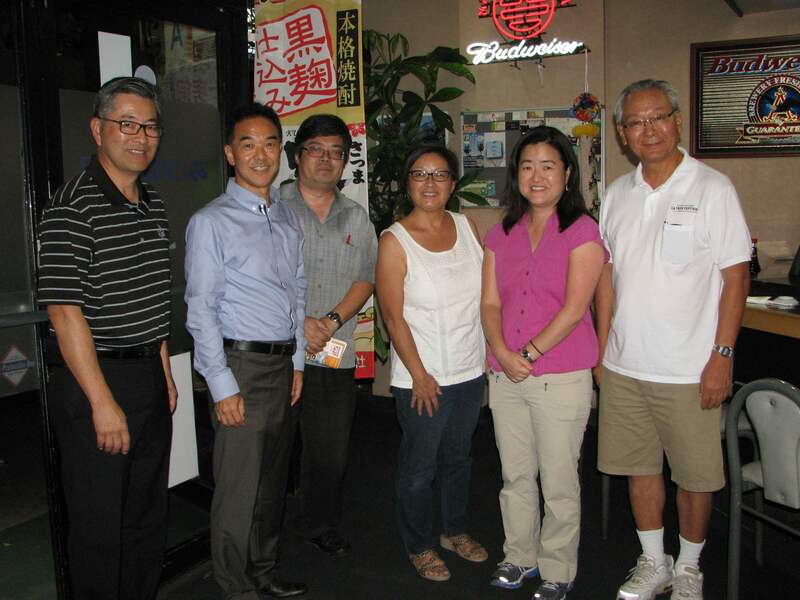 “There are many alumni of the Waseda Kokusaibu in Southern California — we bump into them from time to time,” organizers said. “For most of us, if not everyone, the time we spent at the Kokusaibu was one of a life-changing event that has affected us in many ways even many years after we left. Planning committee members and the years that they were at Waseda: Paul Abe (1974-75), John Iino (1982-83), Jon Kaji (1974-75), Amy Kato (1975-76), Linda Inouye (1975-76), Gwen Muranaka (1990-91), Mike Okamura (1984-85), Grace Shiba (1974-75), Bill Watanabe (1967-68), J.K. Yamamoto (1979-80). Parking is available for $8 at Joe’s Parking in the structure adjacent to the Aratani Theatre. The entrance is on Second Street midway between San Pedro and Central, and the staircase exits to the JACCC Plaza. On the Waseda campus stands the iconic statue of Shigenobu Okuma, the founder of the university. If you have a photo of yourself or a group photo of your Kokusaibu classmates in front of the statue, you are encouraged to share this photo to be included in a slideshow at the reunion. Additional candid photos from your Waseda Kokusaibu year can also be sent (limit three). Email photos (8×10 format; 150 DPI resolution) by Oct. 5 to Amy Kato at [email protected] with your name and year at the Kokusaibu. If you have photo albums from your year, feel free to bring them to the gathering. 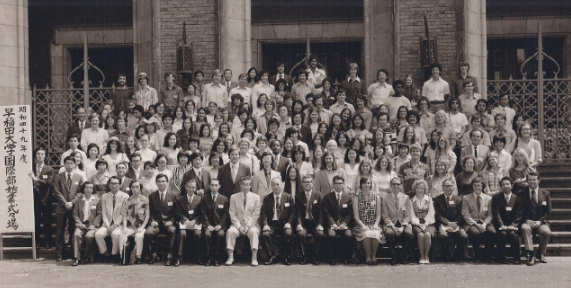 Kokusaibu students pose in front of Okuma Auditorium on Sept. 6, 1974.